When a great invention causes more harm than good? Listening to the radio the other day there was a piece on professional bloggers. It shows how naive I am that I didn’t realise people were actually paid to mention certain products in their blogs, or that that many people now blog as an occupation. Of course everyone interviewed was quick to state that they were completely impartial in their reviews and would say if they really didn’t like a product, service, and restaurant or wherever that they had been paid to review. Yeah right. Anyway, there is no way I’ll get anything for this blog except lots of arguments and condemnation as I am about to criticise one of the most used pieces of kit found in virtually every domestic kitchen in the West. I therefore can’t see manufacturers queuing at my door waiving their chequebooks. I dare say I’ll also get lots of comments condemning this blog as well. No, I’m not about to malign the George Foreman Grill, nor the glass chopping board, although certainly the latter deserves criticism, as at least the former encourages the owner to cook. The latter just ruins good knives. No. I speak of the microwave and before you say, “Oh, but I only ever use it to reheat things”, it’s what’s reheated that I believe has a case to answer for. In truth, it’s not really the microwave itself, but the consequences of its invention. In the days before the microwave was invented virtually the only convenience meals you could buy were tinned, frozen or dehydrated such as those made by Vesta. The frozen meal, aka the TV dinner, consisted of a tray with 3 compartments for the protein, potato and veg and was reheated in the oven. At least it was balanced’. The tinned meant you had to add things to it. The Vesta meal consisted of 2 packets, one of which contained dehydrated delights such as a prawn chow mein or a chicken curry and the other packet contained noodles or rice. All you had to do was put them into pans, measure in the water and simmer for about the same time as it would take to cook the same meal from scratch. People rarely bought them. Invented by accident and then developed in the late 60’s, it was introduced to the domestic market in the early 70’s and was seen as the high tech saviour for the modern busy family, with the ability to cook anything in far less time than conventional methods, thereby retaining all the goodness and flavour of the food. As with anything new, they were expensive pieces of kit. The fact that you had to cook one thing at a time, or triple the time if you wanted to cook more than one item meant there was an awful lot of guesswork involved. However it didn’t deter and a spate of microwave cookery books and gadgets such as the plastic bacon browner were spawned and by the early 80s, as they became relatively cheaper to buy, the microwave was the most sought after appliance in the kitchen. Most people tried to use them to cook but gave up, recognising that bacon didn’t really brown and that half of what they did “cook” was completely inedible. Just in time to save everyone’s embarrassment, the chilled ready meal came along. Everyone started to buy them, if only to justify the fact that they had spent a small fortune on a machine, which for most people only defrosted, cooked soggy jacket potatoes or heated baked beans. Chilled meals were convenient and quick to “prepare”. They were advertised as nutritious, guilt free and a great time saver. Naturally they took off. Unlike us foodie-types, to many people cooking is a chore. It’s time-consuming and difficult to get right, particularly if food is viewed mainly as fuel. Therefore, anything that made life easier was to be welcomed. This, I believe was the single biggest contributing factor in the decline in home-cooked food which has left a generation not regularly eating balanced nutritious food. It was very rare that the chilled meal recommended serving the dish with freshly cooked vegetables to complement the meal because the manufacturers knew their target market was unlikely to buy if it’s more complicated than sticking the meal in the microwave. Bad for the nation’s health? As a consequence the nation started to get larger, not just in population but in girth. There is now at least one aisle in every supermarket dedicated to the chilled ready meal and another dedicated aisle in the freezer section for its frozen counterpart. OK, there are arguments that school curriculum, fast food, cheap booze and less exercise are all factors which have contributed to this and that is undeniably true. 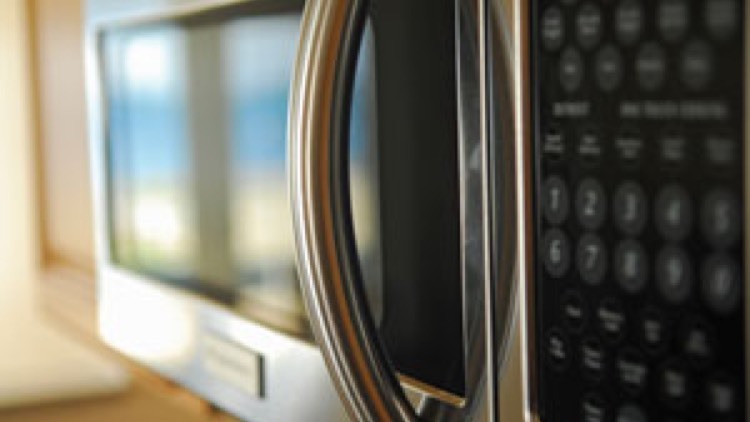 But there is a case to say that the consequential effect that the invention of the microwave has had devastating effects on the nation’s health. In the 1970’s, obesity affected less than 3% of the total UK population. During the time of the microwave that figure has risen to over 25%. Is it simply coincidence? I would love to hear what you think.